Here's a look at the longest single-season winning streak of every NFL team since the 1970 AFL/NFL merger—regular season games only—including the 2016 Dallas Cowboys, who won their tenth consecutive with a Thanksgiving Day thumping of Washington. After the offseason addition of receivers Randy Moss and Wes Welker, Tom Brady set a then-league record with 50 touchdown passes and won his first MVP award as the Patriots became the first NFL team to go 16-0. Moss set an NFL record with 23 TD catches and Welker led the league in receptions. 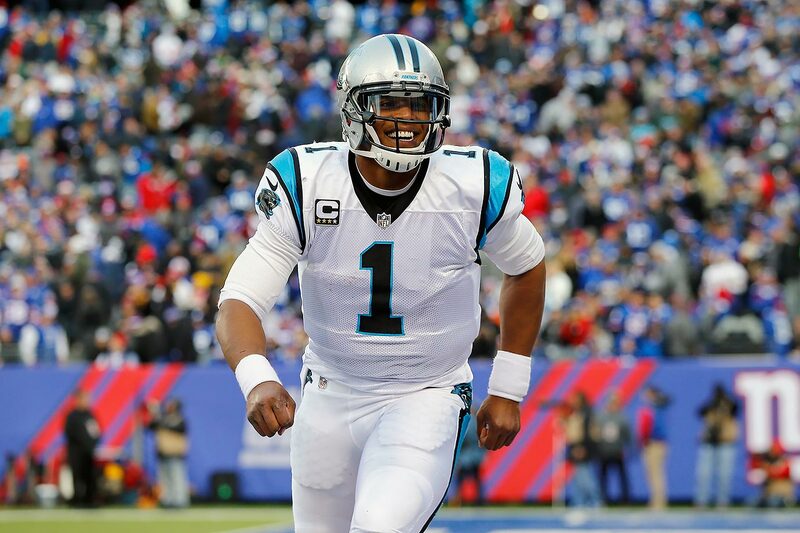 The Panthers and quarterback Cam Newton won their first 14 games of the 2015 season, doubling a franchise record set when the 1996 Panthers, in just their second season, won their last seven to finish at 12-4 and atop the old NFC West with Kerry Collins under center. The season by which all others are measured. A perfect regular season (14-0) followed by a perfect playoff run. 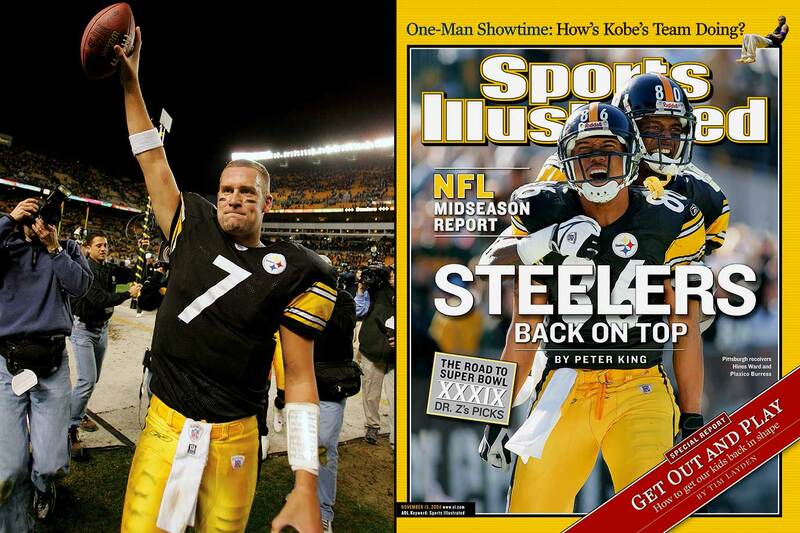 In the final season of longtime Pittsburgh radio announcer Marlon Cope, the Steelers caught on fire after a 1-1 start and won their next 14 with rookie quarterback Ben Roethlisberger. With Peyton Manning and a handful of other key players standing on the sideline for most of the second half, the New York Jets ended the Colts' pursuit of perfection and their NFL-record 23-game winning streak across two seasons with a 29-15 victory during Week 16. Rookie head coach Jim Caldwell chose to rest his starters for the playoffs over attempting to go 16-0. The defending Super Bowl champions picked up where they left off after their victory over the Steelers in Texas, winning their first 13 of the 2011 season before being upended by the Kansas City Chiefs. That was Green Bay's only regular-season loss of the season. 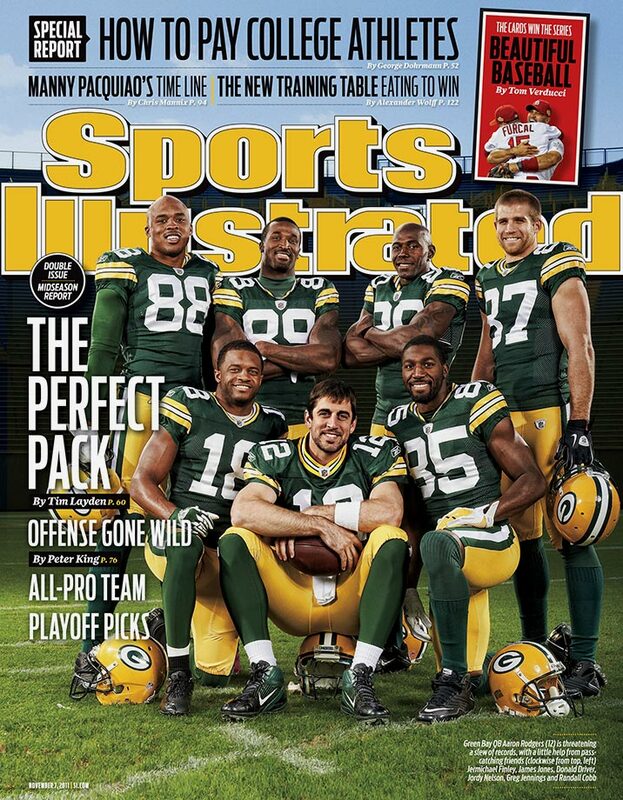 The franchise's previous high was seven consecutive wins, turned in by the 2002 Brett Favre-led Packers. 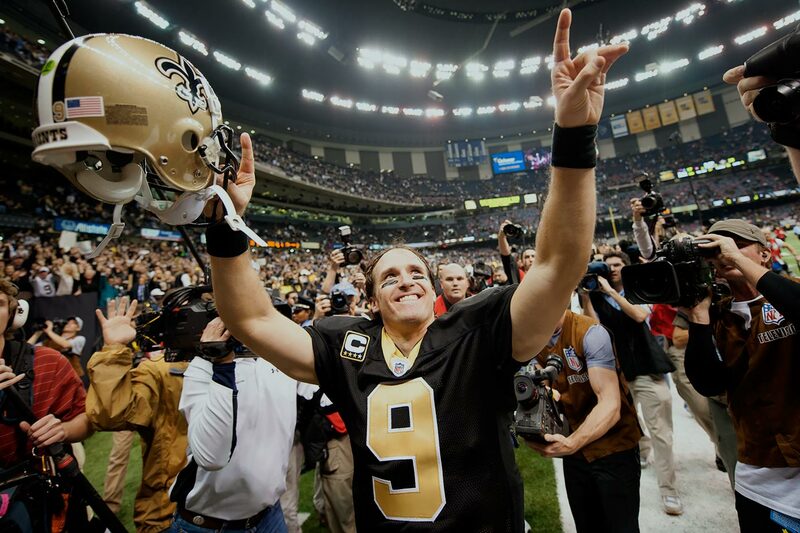 Drew Brees and the Saints had New Orleans' fans dreaming of a perfect season after winning their first 13 of the season, including two over Atlanta. 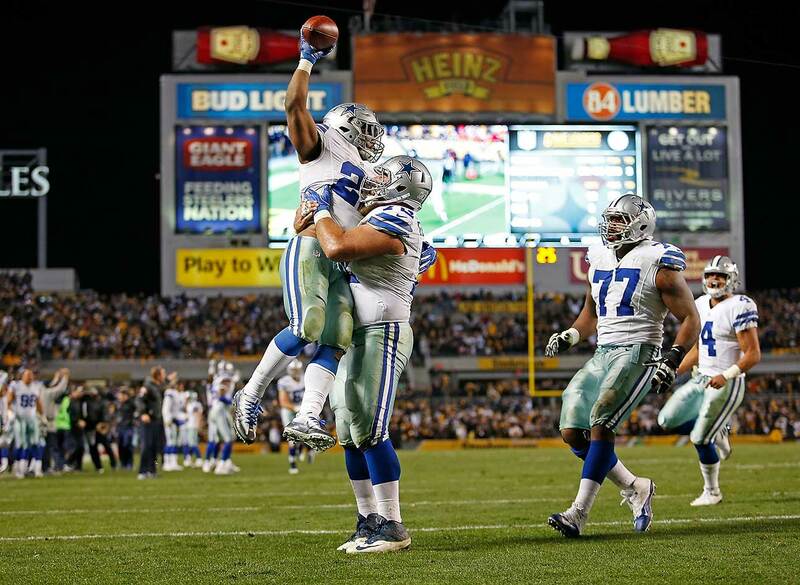 The magic carpet ride ended when Dallas upended the Saints at home in a Saturday night game on Dec. 20, 24-17. 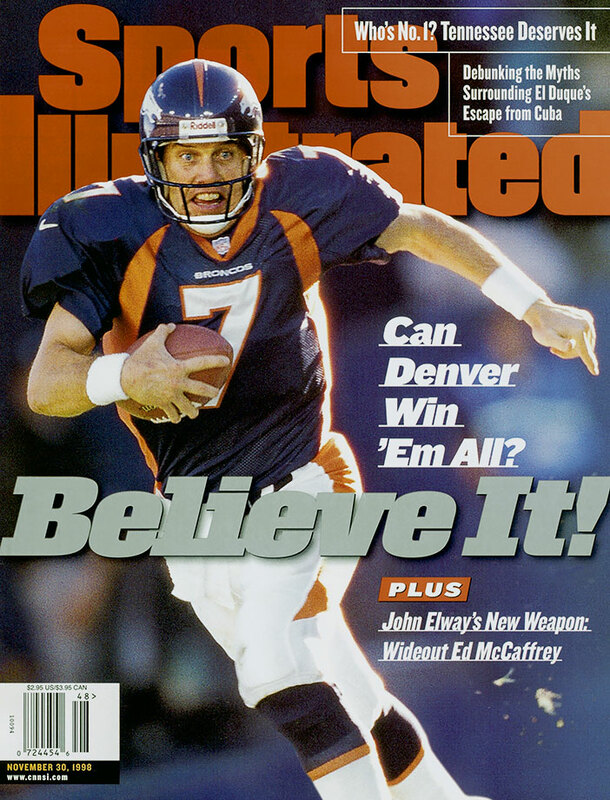 In John Elway's last season, the future Hall of Fame quarterback led the Broncos to a 13-0 start, regrouped after back-to-back losses to the Giants and Dolphins, and then marched Denver all the way to a Super Bowl XXXIII win over Atlanta. The only blotch on this Super Bowl-winning team's record all season was a 38-24 loss to the Dolphins in Week 13. 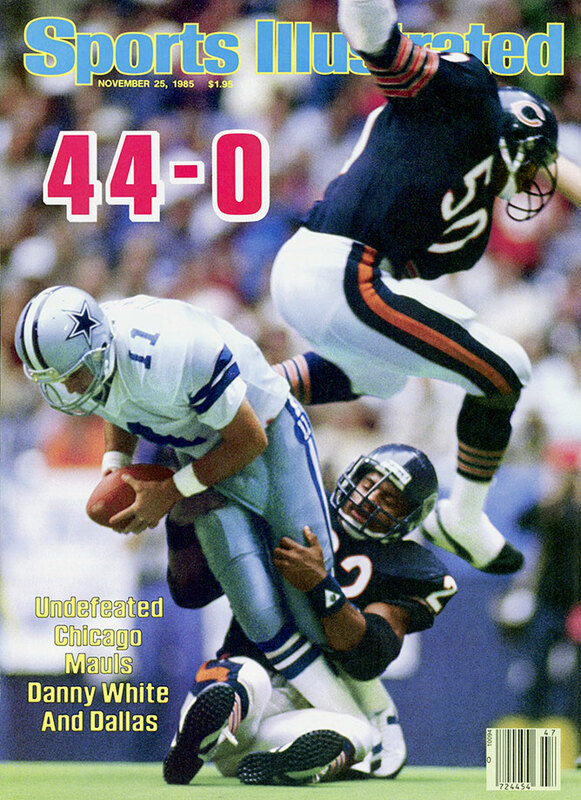 Before that defeat, the Bears had outscored their previous three opponents 104-3, led by such defenders as Mike Singletary, Richard Dent and Dan Hampton. The Chargers headed into the playoffs on an 11-game winning streak. 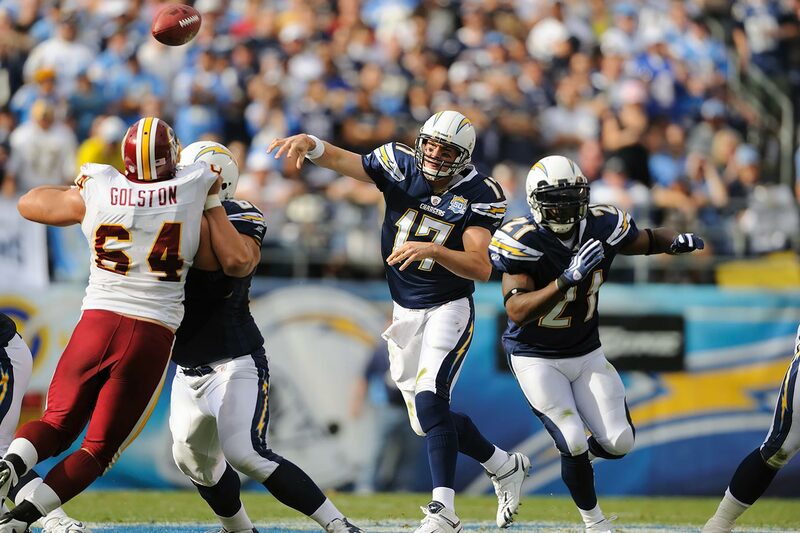 Although the play of their backups in the final game of the regular season set the franchise record, it was quarterback Philip Rivers who led San Diego all season, finishing with 28 TD passes, 9 interceptions, and a career-high 4,254 passing yards. The 2005 Seahawks ran off 11 straight from Weeks 5 to 16. 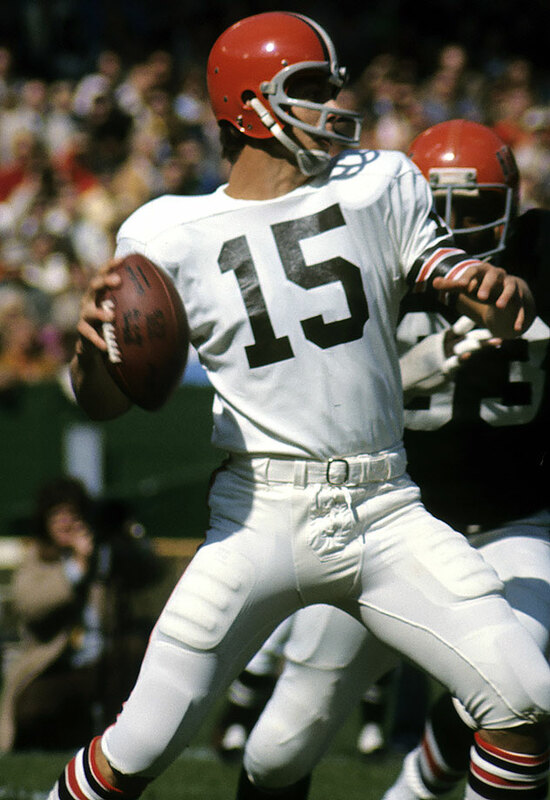 They famously survived a Week 12 scare at home, winning 24-21 in overtime (inset) after Giants kicker Jay Feely was barely wide left on a 40-yard field goal attempt at the end of regulation, and then missed 54- and 45-yard attempts in overtime. 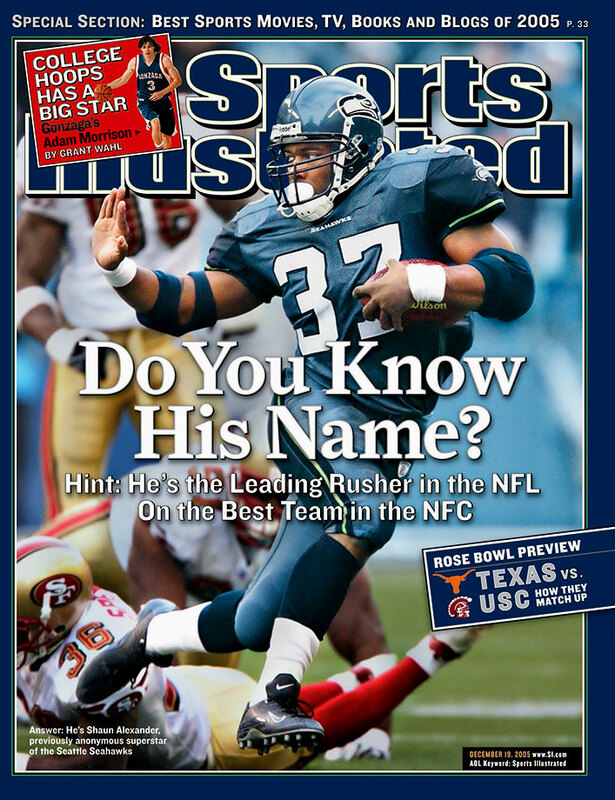 Shaun Alexander & Co. weren't so fortunate in the Super Bowl, losing 21-10 to the Steelers. 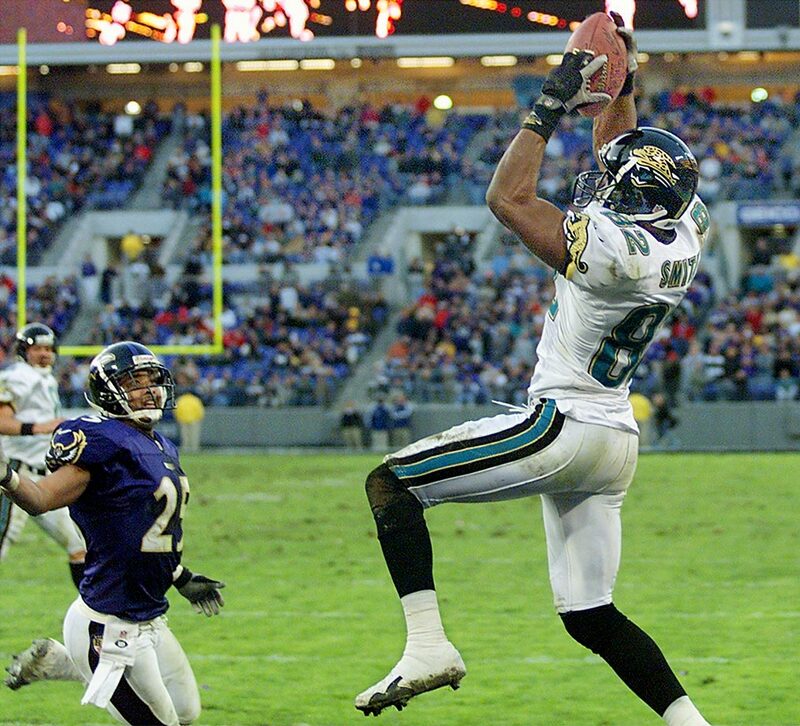 Jimmy Smith led the league in receptions (116) and finished second in receiving yards (1,636) as Tom Coughlin's Jaguars won the AFC Central with a 14-2 record. Jacksonville won its first two games before losing 20-19 to Tennessee, then won the 11 straight before falling to Tennessee again (41-14). Adding insult to injury, Tennessee defeated the Jaguars again in the AFC Championship game, denying Jacksonville a trip to the Super Bowl. 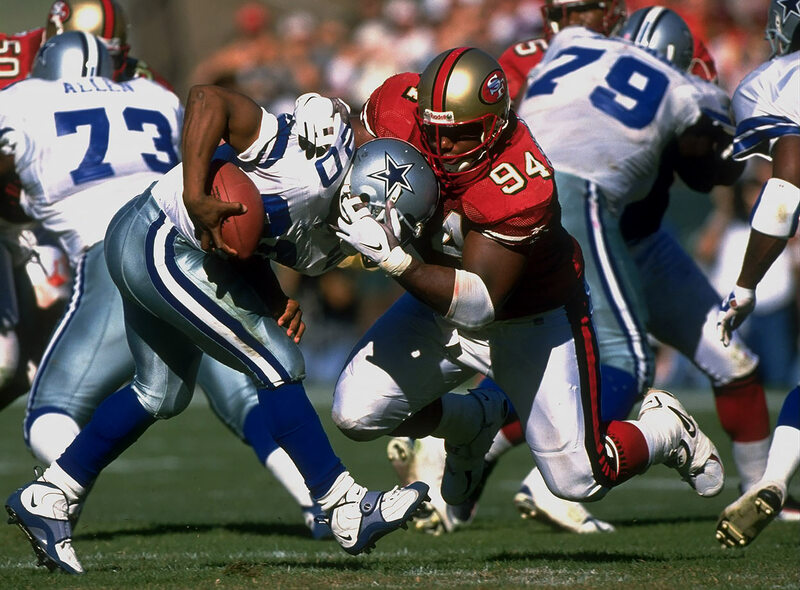 It's remarkable that after losing Jerry Rice to injury for 14 weeks in a season-opening 13-6 loss to Tampa Bay and Steve Young suffering yet another concussion the same game, the Niners rebounded and won their next 11. Give credit to a defense led by defensive tackle Dana Stubblefield, which held seven of the 11 victims to 12 points or fewer. 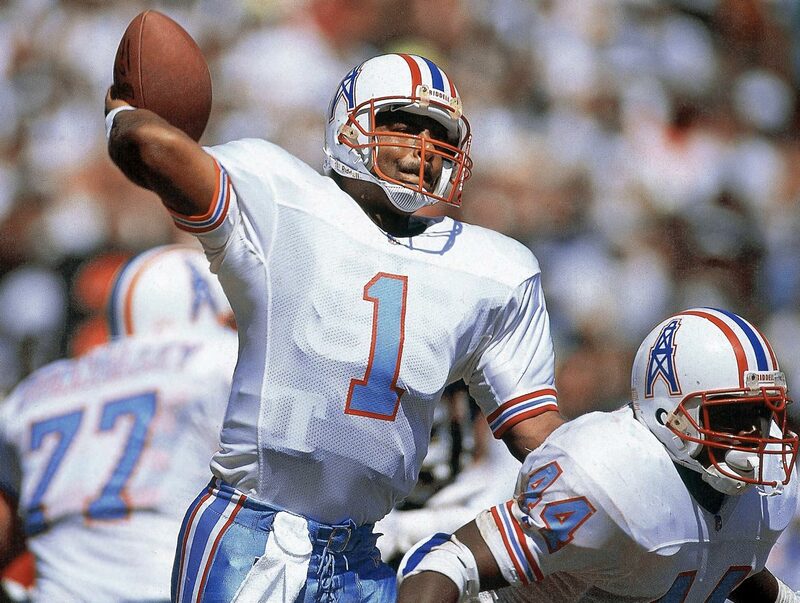 In the franchise's fourth-to-last season in Houston, Warren Moon was at the controls of the run-and-shoot offense and helped the Oilers win 10 consecutive while Cody Carlson got the start in the record-setting 11th win. Perhaps most memorable about the final win was that defensive coordinator Buddy Ryan punched offensive coordinator Kevin Gilbride right before halftime in a disagreement over offensive philosophy. 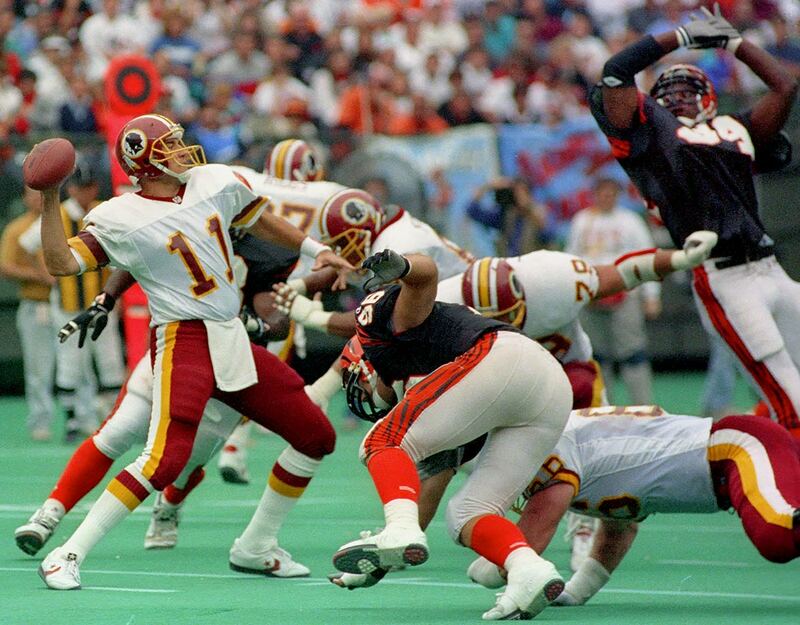 In a season that culminated with a 37-24 victory over Buffalo in Super Bowl XXVI, Mark Rypien and the Redskins gave an early glimpse of their dominance by winning their first 11 in a row. The only losses they incurred that season were in Week 13 to the Cowboys and in Week 17 to the Eagles. Led by rookie quarterback Dak Prescott and rookie running back Ezekiel Elliott, the 2016 Cowboys bounced back from losing their season opener against the New York Giants and rolled to a franchise record 10 consecutive wins. 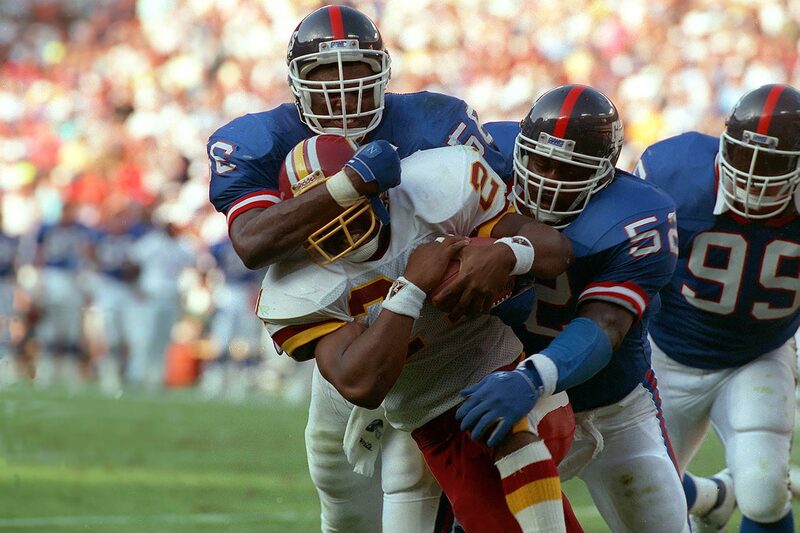 Lawrence Taylor spearheaded a defense that led the NFL in fewest points allowed (211) as the Giants went unbeaten from Weeks 1 through 11. Their first loss in the Super Bowl-winning season came at Philadelphia, where the Eagles scored twice in 22 seconds during a 31-13 victory. The Raiders began their first Super Bowl-winning season with three wins before being upset by the Patriots. 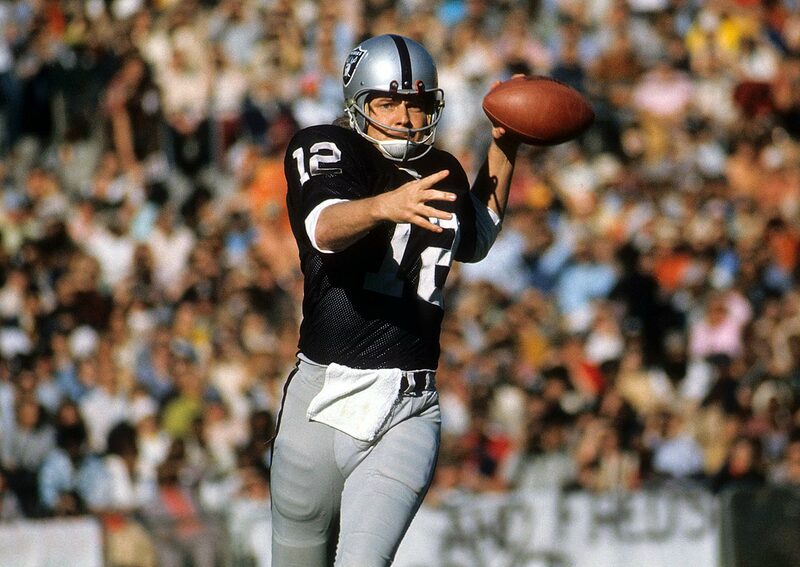 Ken Stabler & Co. didn't lose again, including in their final 10 regular season games. The narrowest margin of victory during the run, 28-27 over Walter Payton and the Bears on the strength of a 49-yard TD pass from Stabler to Cliff Branch in the fourth quarter with an Errol Mann PAT. 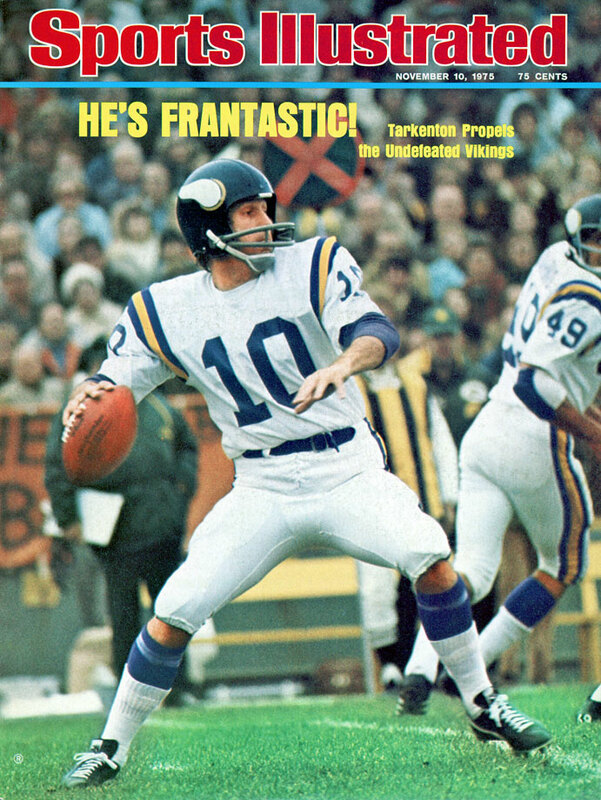 During Fran Tarkenton's MVP-winning season, the Vikings got off to a 10-0 start that might have extended to 11 if not for a missed conversion kick during a 31-30 loss to the Redskins. 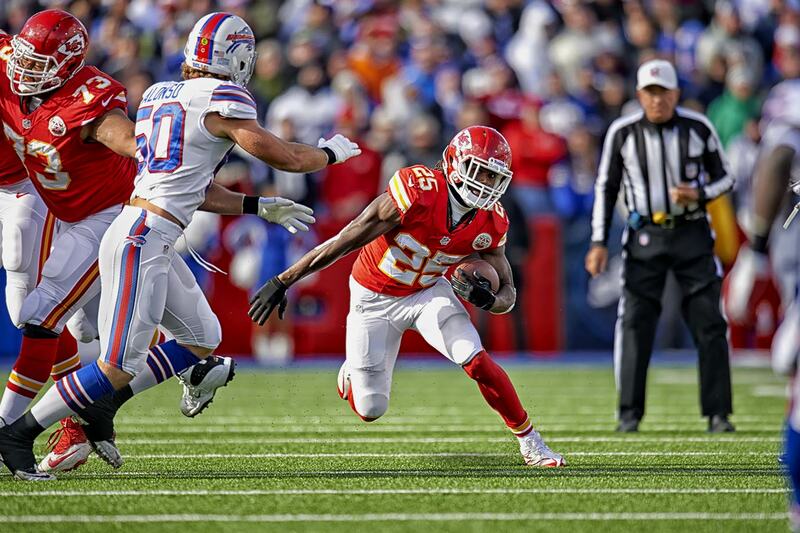 With their Week 9 victory over the Buffalo Bills in 2013, Jamaal Charles and the Kansas City Chiefs matched the franchise record for most consecutive wins. Their bye week may have been detrimental, however, as their streak ended with a 27-17 loss in Denver after the respite. The Eagles won nine in a row and 10 of their last 11 to win the NFL East for a third consecutive year. Brian Westbrook got the streak going with a punt return touchdown in the last two minutes of a 14-10 win over the Giants. 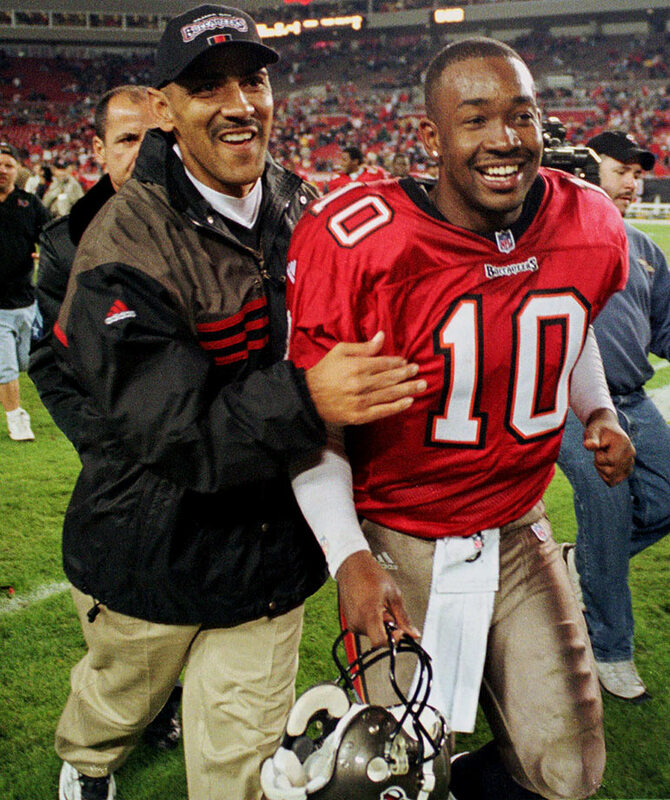 Nine weeks later the 49ers ended the run by intercepting Donovan McNabb in overtime and taking a 31-28 victory. 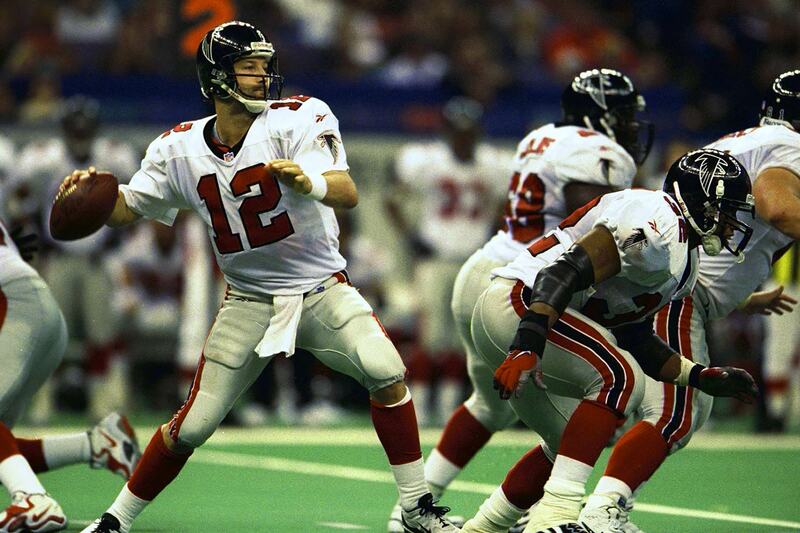 Quarterback Chris Chandler and running back Jamal Anderson helped the Falcons win their final nine in 1998, even with second-year head coach Dan Reeves missing Weeks 15 and 16 after undergoing quadruple bypass surgery. The winning ways continued all the way to the first Super Bowl appearance in franchise history, but ended with a 34-19 loss to the Broncos. The 1980 Falcons also won nine in a row, led by quarterback Steve Bartkowski, and almost ran their streak to 10, but lost 20-17 in overtime to the Rams in the final regular season game of the year. A team that lost its last five games of the season and still qualified for the playoffs did so in part because of a nine-game unbeaten streak from Weeks 3 to 11. 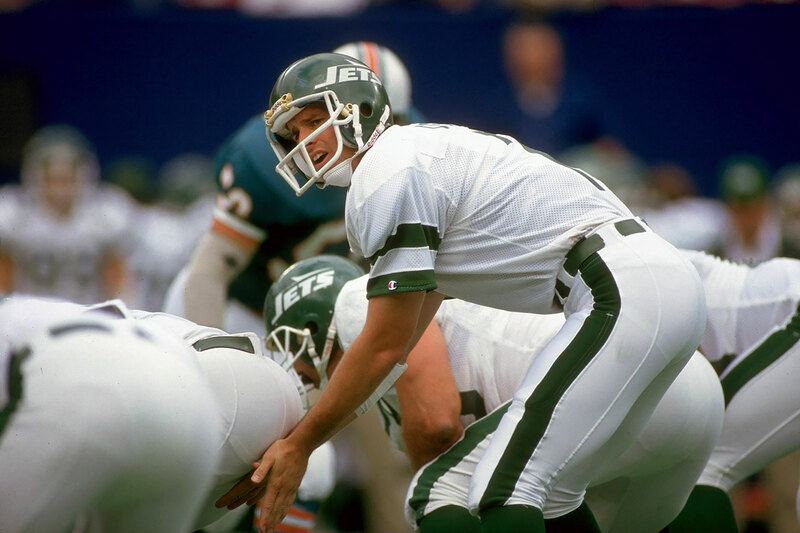 It started with a 51-45 overtime victory over Dan Marino (6 TD passes) and the Dolphins, a game in which Ken O'Brien connected with Wesley Walker on a 43-yard pass for the final touchdown. 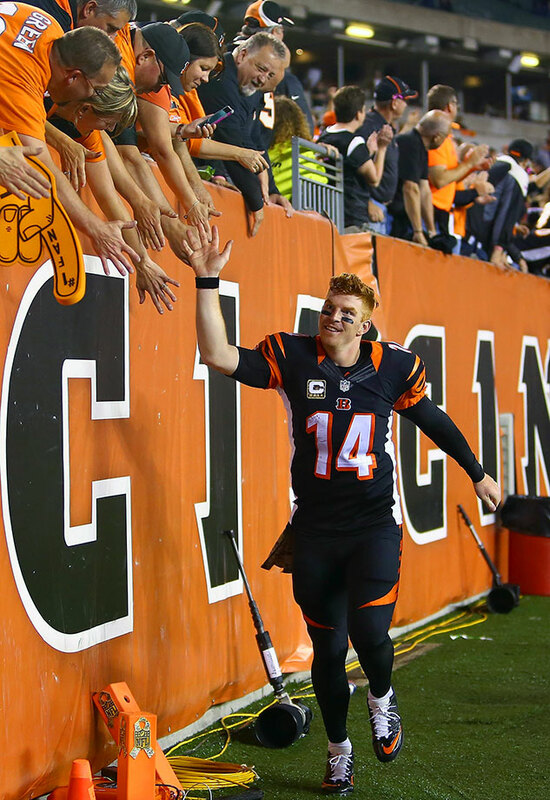 The Bengals and quarterback Andy Dalton won their first eight games of the 2015 season, surpassing the franchise record of seven consecutive wins set in 1970. 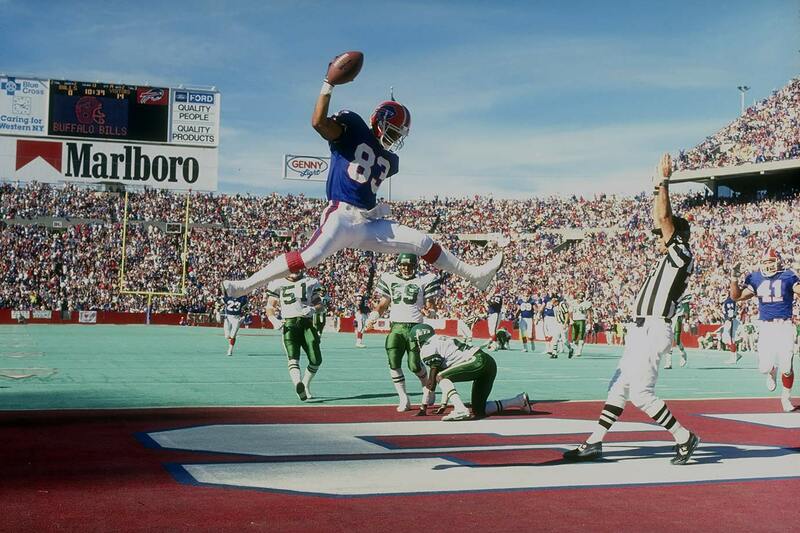 Buffalo was unstoppable from Weeks 3 through 11, defeating the Patriots and Jets twice, as well as the Raiders and Broncos en route to the franchise's first Super Bowl appearance. 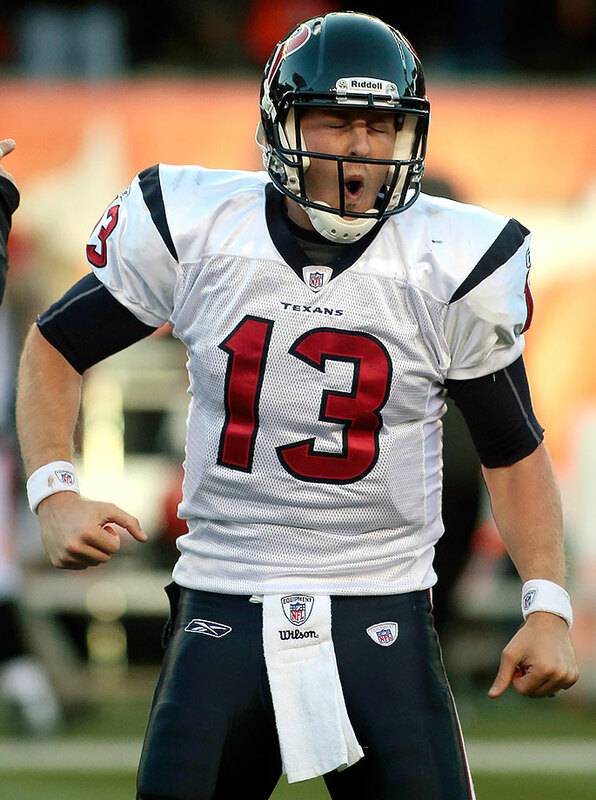 Rookie, third string quarterback T.J. Yates threw a six-yard touchdown pass with six seconds left in Week 14 to give Houston a 20-19 victory at Cincinnati, on a day in which the expansion franchise would clinch its first playoff berth in history. Yates was subbing for injured starter Matt Schaub and backup Matt Leinart, both lost for the season earlier in the year. Making only his second start, the fifth-round pick out of North Carolina led the Texans on a 80-yard scoring drive with no timeouts and a little over two minutes remaining. Say this much about the Rams, they can certainly get on a roll. All four teams that won seven straight also ended up taking the NFC West title. 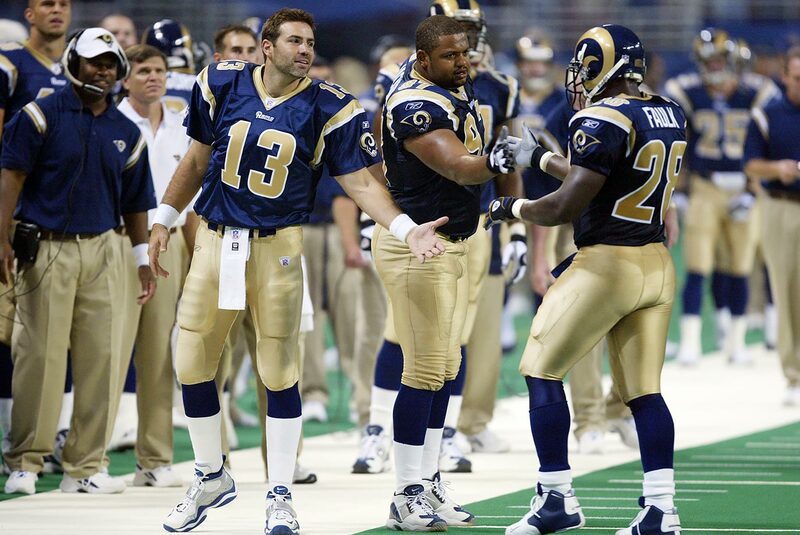 The L.A.-based '78 and '85 squads won their first seven of the season; the St. Louis-based '03 went undefeated from Weeks 10-16 and the St. Louis-based '99 team enjoyed two seven-game streaks in the same season en route to winning the Super Bowl behind Kurt Warner and Marshall Faulk. En route to winning that season's Super Bowl over the Giants, the Ravens got the momentum going by winning their final seven of the regular season. 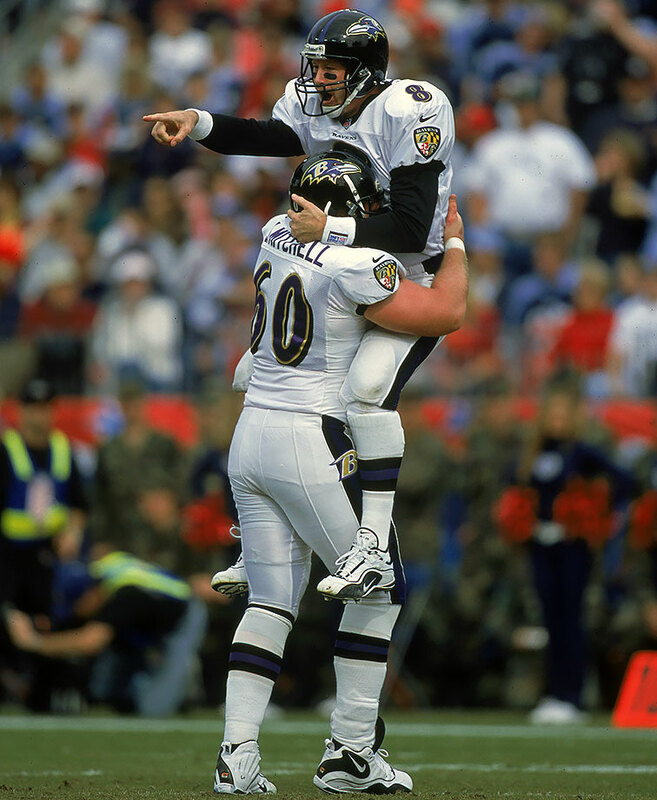 The closest game during the run — a 24-23 thriller over Tennessee in which Baltimore drove 70 yards and scored on a two-yard pass from Trent Dilfer to Patrick Johnson with 25 seconds remaining. The Lions won their final seven games to lock up a playoff berth for the third consecutive year. 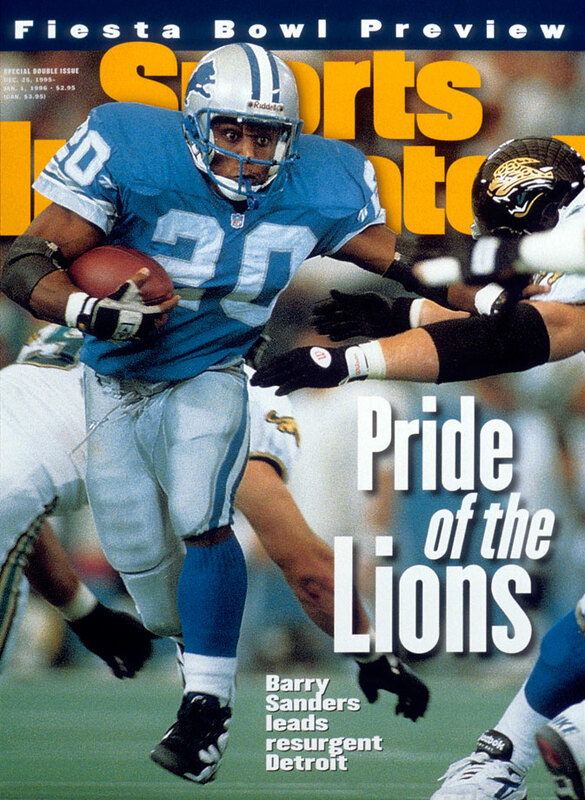 Barry Sanders ran for 1,500 yards that year while Herman Moore and Brett Perriman became the first teammates to each catch more than 100 passes in a season. Detroit lost to Philadelphia in a wild card game. The Cardinals won their first seven, including two over the Redskins, giving the team the tiebreaker it would need at year's end to make the playoffs for the first time since being based in Chicago in 1948. 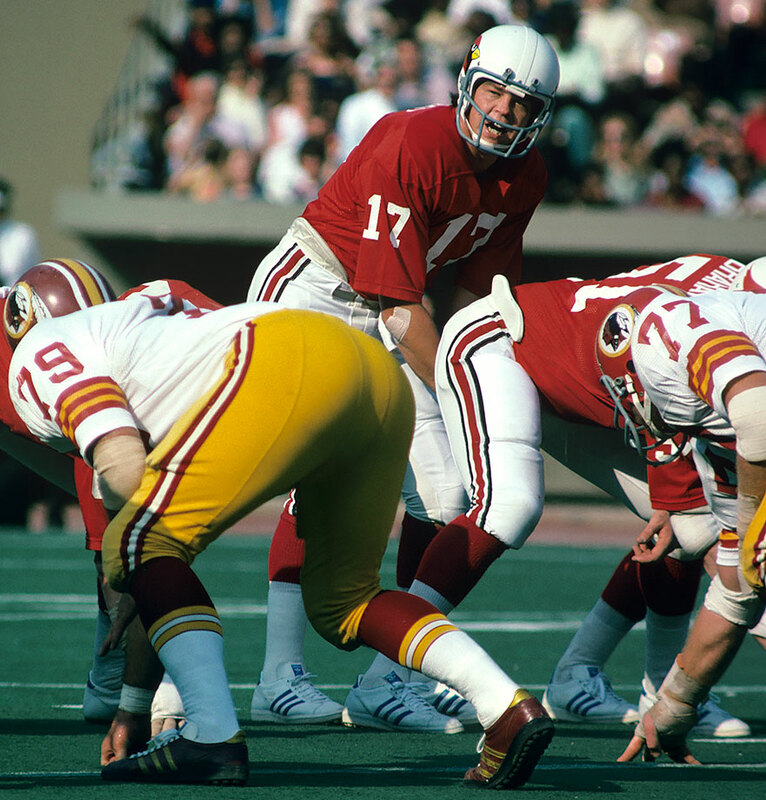 Jim Hart led the NFC in TD passes that season with 20. En route to wining the NFC Central and finishing with an 11-5 record, the Bucs won six straight and eight of their last nine in the regular season. 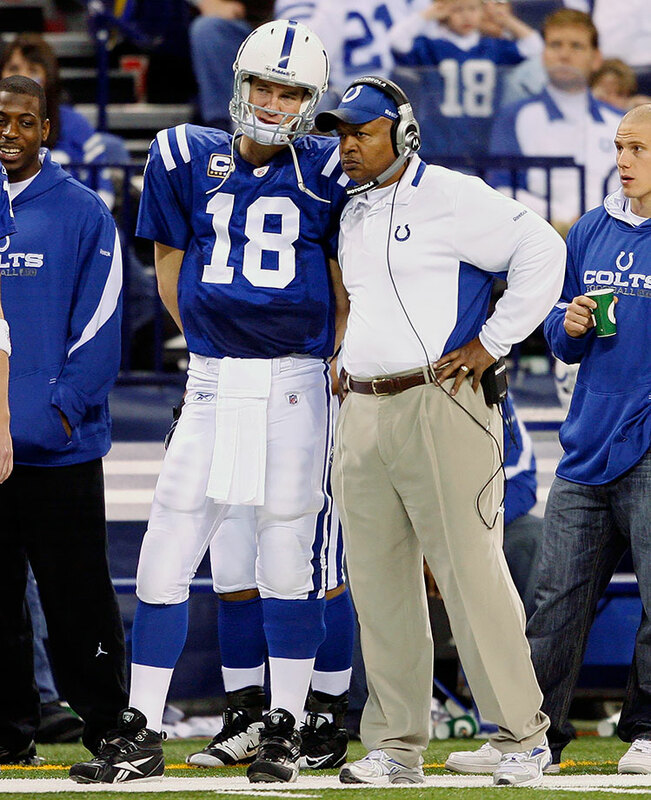 The Tony Dungy-coached team lost Trent Dilfer to a broken clavicle during the six-game run and turned to rookie quarterback Shaun King. As six-game streaks go, the Browns are certainly proud of theirs. With Mike Phipps under center, they finished 10-4 that season, wining eight of their last nine. 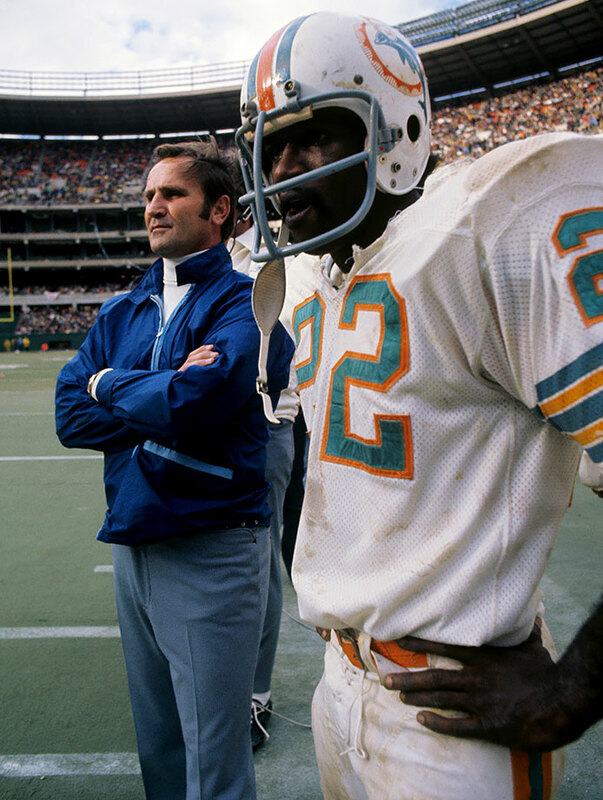 They made the playoffs and lost a respectable 20-14 to the eventual Super Bowl-champion and undefeated Dolphins.